The ability of non-animal methods to correctly predict the outcome of in vivo testing in repeated applications is referred to as precision. Due to dichotomising continuous read-outs into discrete “positive/negative” hazard data, non-animal methods can reveal discordant classifications if results are sufficiently close to a defined classification threshold. This paper explores the impact of precision uncertainty on the predictive accuracy of non-animal methods. Using selected non-animal methods for assessing skin sensitisation hazard as case study examples, we explore the impact of precision uncertainty separately and in combination with uncertainty due to varying composition and size of experimental samples. Our results underline that discrete numbers of non-animal methods’ sensitivity, specificity and concordance are of limited information for evaluations of non-animal testing methods’ predictivity. Instead, information on the variability, and the upper and lower limits of accuracy metrics, should be provided to ensure a transparent assessment of testing methods’ predictivity, and to allow for a meaningful comparison of the predictivity of non-animal methods with that of animal tests. 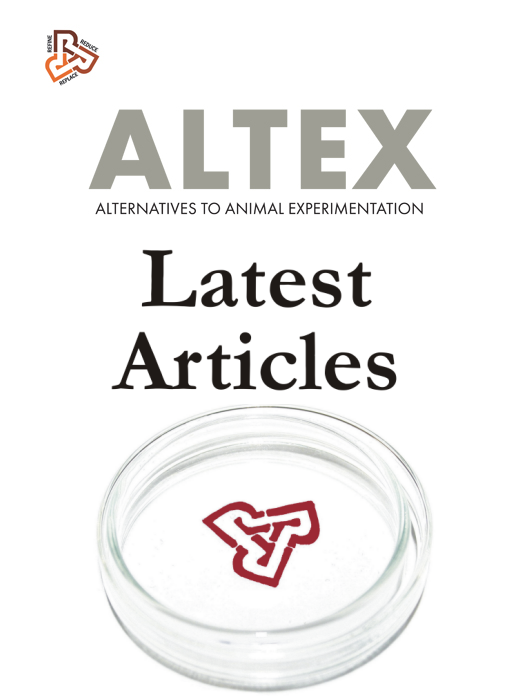 Leontaridou, M., Gabbert, S. and Landsiedel, R. (2019) “The impact of precision uncertainty on predictive accuracy metrics of non-animal testing methods”, ALTEX - Alternatives to animal experimentation. doi: 10.14573/altex.1810111.